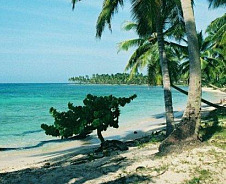 Retire in Dominican Republic and discover paradise at an affordable price tag. Twice the size of New Hampshire, this Caribbean island boasts 1000 miles of white sandy beaches...Most of which are devoid of tourists. Snuggled amid flourishing valleys and meandering rivers, this sultry spot is much cheaper than any beachside hangout in the United States. Yet you will be a short plane ride from a major international airport. Retiring in the Caribbean is a dream come true for many retirees. 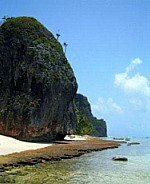 By knowing the best places to retire in this tropical paradise and learning strategies for retiring overseas, you can make this a reality. Get the recommended vaccinations before retiring in Dominican Republic. Most diseases are avoided with a simple vaccine. Other essential overseas retirement tips include emailing important documents to yourself before heading out. Nestled in the east coast of the island are turquoise beaches lined with palm trees. All-inclusive resorts abound here. The area also has its own airport. A luxurious region of rolling hills 90 minutes from Santo Domingo, La Romana prides itself on championship golf courses, polo grounds and swimming pools...Not to mention a great shopping and cultural district. This spectacular spot is the reason retirees with a heavier wallet are retiring in the Dominican Republic. Known as "The Bride of the Atlantic", this area reveals Victorian mansions and an historic port. A stroll down the "Malecon" or boardwalk reveals a grand view of the Atlantic ocean. 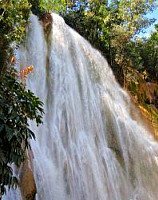 If you're looking for cheap places to retire in the Dominican Republic as well as one of the most picturesque spots, this is it. 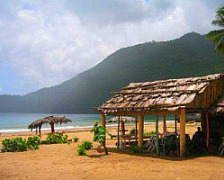 Samana Peninsula boasts a good-sized established expatriate community. This means plenty of goods and services from back home are easily accessible. Discover the beauty and old world feel of Las Galeras, or the Mediterranean-style region of Las Terrenas. You can retire on a budget here but it sure won't feel like it. Samana City is a port known for the its Humpback whales. This is a great starting point as there are plenty of hotels and English-speaking residents. An International Airport located in El Catey puts you within a short distance to most Samana destinations. That way if you decide to retire in Dominican Republic, you have first hand knowledge of where you want to live. Steer clear of the resort areas that are usually packed with tourists and uncover retirement bliss. Samana Peninsula is the ideal location to retire in the Dominican Republic. Know the difference between establishing residency overseas and establishing citizenship. You do not need to be a citizen of a country to reside there. Residency only means that you have a right to live in that country. It may even be beneficial to apply for dual citizenship. When living or retiring in a foreign country, the amount you pay in taxes will depend on your circumstances and where you retire. What if you receive a social security check? Do you still have to pay taxes? Avoid unexpected surprises by finding out what costs are involved first. If you are on a really tight budget, retiring overseas may be your best option. Extend your boundaries and discover the wonders of a new shore. Frugal living is important but so is quality of life. This type residency is granted for a year and can be obtained in 4-6 months. This will be your starting point when you first retire in Dominican Republic. This type residency can be obtained in 18 months and granted 2-3 months after filing. A tourist card grants you 90 days to remain in the Dominican Republic without a penalty. Although, generally, penalties are inexpensive here. Most prescription medications are available over the counter. Private clinics are available to expatriates for an affordable fee. A day at the hospital will usually run you under $75 abroad. This is a strong reason why many are choosing to retire in Dominican Republic. Like Using an international carrier for health care overseas with a high deductible in actual emergencies. And then pay out of pocket for regular occurrences. Touristy areas like Punta Cana and Puerto Plata come with a higher price tag. Not so for Samana Peninsula. A one-bedroom rental a few blocks from the beach costs one half to a third less. If you plan to buy, keep in mind that property taxes are 1% over $140,000. And condos usually include homeowner association fees. Choosing a retirement location should be simple and straightforward. Create detailed budgets and know the basics when retiring overseas with these easy-to-follow tips. Butane gas is the fuel of choice in most South American havens as well as those in the Caribbean. Used for cooking, it runs about $15.00 a month. Locals are comfortable with the lukewarm water that flows from the faucets for bathing. If you prefer warmer showers, invest in a water heater, preferably a solar one. You get the most for your buck this way. Air conditioning is a necessity in a tropical island. Figure on spending a little over $180 a month. It's money well spent. You can save money on other things. Being comfortable is essential when retiring in Dominican Republic. Local meats and all the produce you can eat cost about $80 a week. Of course, everything from French bread to Italian sausages are on hand. Be prepared to pay a little more for U.S. brands. All the amenities you are accustomed to are available--From local eateries to 5-star restaurants. Cable TV with English channels, reliable high-speed Internet and movie rentals are easily accessible yet cost you half as much. You can easily find a live-in maid for less than $45 a week if you retire in Dominican Republic.This includes house cleaning, laundry and home-cooked meals. Apply simple retirement planning tips to increase the money that goes into your pocket. If you want to retire in Dominican Republic and are wondering how to come up with the money, you must take control of your retirement. Learn how to put your money to better use and cut your spending without affecting your quality of life. Choosing when to retire is your choice. How? By having a plan...a serious plan and a goal. Find out how to devise an early retirement plan you can stick to with a little practice. Unless Aunt Betty leaves you a ton of money, you must have a plan if you want to retire early or retire at all. Leaving the rat race behind and traveling full time is a goal worth pursuing. Supporting yourself while you explore new destinations depends on some preparation. Live frugally, reduce expenses and invest. And watch how you can retire early within one to five years. Then retire in Dominican Republic. It's only a stone's throw away from the U.S. with a killer view. What more could you ask for?